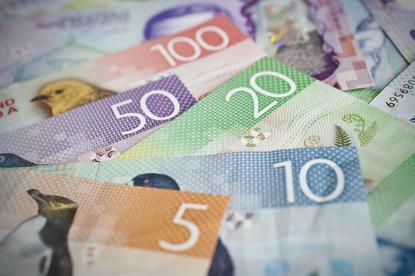 Technology spending in New Zealand is forecast to reach almost $12 billion in 2018, with a two per cent market growth driven by increased investment across software and services. According to Gartner findings, organisations will spend more than $1.6 billion on software during the next 12 months, up from $1.4 billion in 2017. Such a spike is expected to continue into the following year, resulting in annual investment of $1.7 billion by 2019. Meanwhile, spending on communication services is set to reach $4.4 billion, representing a slight increase from $4.3 billion during the same period last year. 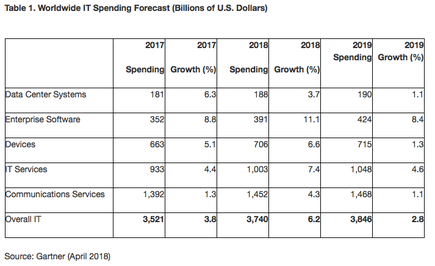 Of note to the channel, and staying within the services segment, IT services will account for $3.9 billion of budgets, up from $3.8 billion the year previous. Delving deeper, devices investment will remain flat at $1.6 billion, with data centre systems experiencing a dip in sales to $349 million. From a global perspective, worldwide IT spending is projected to total US$3.7 trillion in 2018, an increase of 6.2 per cent from 2017. “Although global IT spending is forecast to grow 6.2 per cent this year, the declining U.S. dollar has caused currency tailwinds, which are the main reason for this strong growth,” Gartner research vice president, John-David Lovelock, said. “This is the highest annual growth rate that Gartner has forecast since 2007 and would be a sign of a new cycle of IT growth. However, spending on IT around the world is growing at expected levels and is in line with expected global economic growth. As explained by Lovelock, enterprise software spending is forecast to experience the highest growth in 2018 with an 11.1 per cent increase. “Barring unexpected disruption, the software industry is expected to continue capitalising on the evolution of digital business,” Lovelock added. Consequently, application software spending is expected to continue to rise through 2019, and infrastructure software will also continue to grow, bolstered by modernisation initiatives. Despite a strong end to 2017, Lovelock said worldwide spending on data centre systems is forecast to grow 3.7 per cent in 2018, down from 6.3 per cent growth in 2017. “The longer-term outlook continues to have challenges, particularly for the storage segment,” Lovelock said. Lovelock said the strength at the end of 2017 was primarily driven by the component shortage for memory components, and prices have increased at a greater rate than previously expected. Whereas previously, component shortages were expected to ease into 2018, the shortages are now expected to continue throughout the year with the supply not expected to ease until the end of the year. Meanwhile, worldwide spending for devices — PCs, tablets and mobile phones — is forecast to grow in 2018, reaching US$706 billion, an increase of 6.6 per cent from 2017. “The device market continues to see dual dynamics,” Lovelock added. “Some users are holding back from buying, and those that are buying are doing so, on average, at higher price points.